Your smile might be telling more about you than you think. According to the American Heart Association and Mayo Clinic, recent studies show that there is a direct link between your oral health and heart disease. Today more than 80% of Americans are living with gum disease, many of them being seniors. Gum disease is painless in the early stages so it can be easily missed if you aren’t seeing your dentist regularly. Periodontal (gum) disease, is an infection of the tissue that holds your teeth in place. Living with gum disease can present problems with bleeding, inflamed gums and can ultimately result in tooth loss, but there can be other troubles brewing as well. 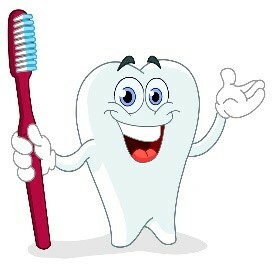 Recent studies show that people with moderate to advanced gum disease are at a higher risk for developing heart disease. Inadequate oral hygiene leading to gum inflammation and an accumulation of plaque plays a big role in gum disease. It is believed that the bacteria associated with gum disease can enter the blood stream and attach to blood vessels as well as to damaged areas of the heart. This can result in endocarditis (an infection of the inner lining of the heart), atherosclerosis (clogging of arteries) which can break loose or clog arteries completely, leading to heart attack or stroke. The best measure for prevention of gum disease is to brush your teeth twice a day, using a soft bristled tooth brush, floss daily, and see your dentist regularly for dental examinations and professional cleanings. And if you are experiencing any of the warning signs above, seek advice and treatment from your dentist as soon as possible.